PALM BAY, Florida — A 50-year-old Palm Bay man was flown to an Orlando hospital after an accidental fire that burned approximately 40-50% of his body. Just after 8 p.m. on Tuesday, Palm Bay Fire-Rescue firefighters and paramedics responded to the 1300 block of Wacker Avenue SE after receiving a call from a witness who reported the man had accidentally set himself on fire while setting up a Halloween decoration. According to City of Palm Bay spokesperson Yvonne Martinez, the man was using gasoline, a small wooden cross, and candles in an area that, according to firefighters, was not properly ventilated and subsequently triggered the fire. Palm Bay Fire Rescue crews treated the man at the scene. He was then airlifted to the hospital with 2nd degree burns to his upper torso. 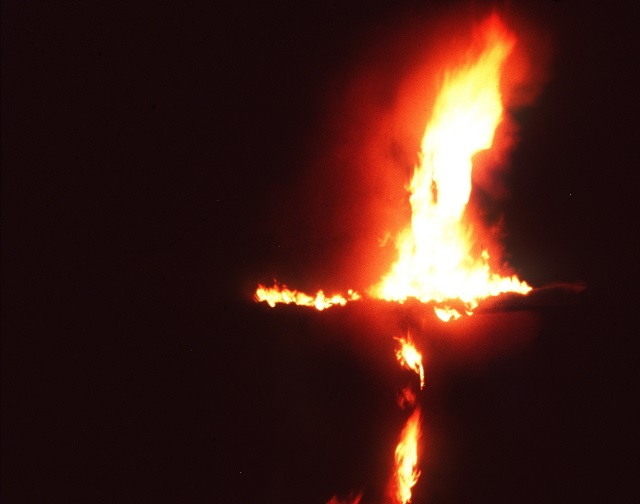 WFTV reports that witnesses said the man had been drinking and tried to light a wooden cross on fire as a prank. This is the second incident in less than six months where a Palm Bay man has accidentally set himself on fire with gasoline. In June, another Palm Bay man accidentally set himself on fire while trying to siphon gasoline with a shop-vac.